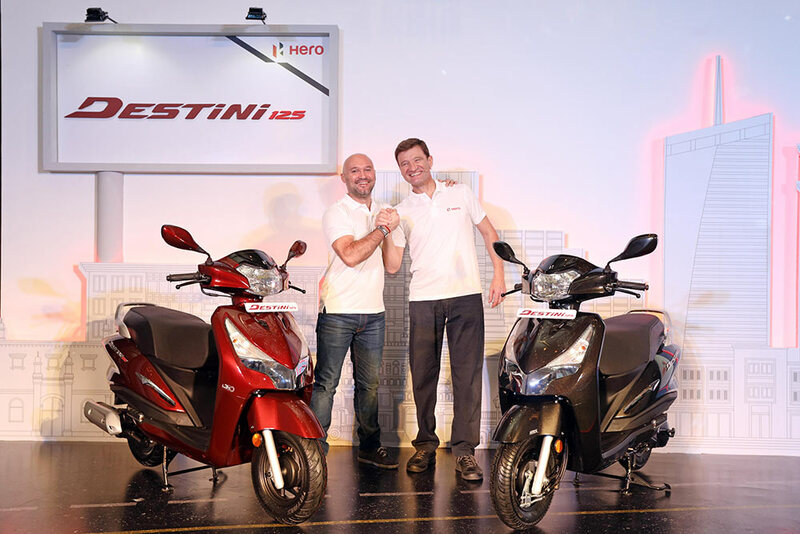 Hero Motocorp, World’s and India’s largest 2-wheeler manufacturer has launched the all new Hero Destini 125 scooter in India at an attractive price of Rs 54,650. 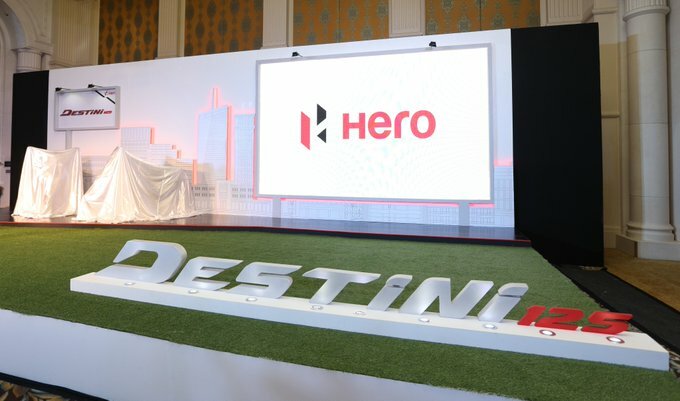 Hero Destini 125 scooter will take on scooters like TVS nTorq 125, Suzuki Access 125 and Honda Activa + Grazia 125. External fuel filling system, Remote key opening, Mobile charging port, and Boot light offer unmatched convenience. The scooter also provides superior road comfort and safety with telescopic suspension and an Integrated Braking System. Targeted at young professionals from the metro and mini-metros, the Destini 125 comes packed with a host of style elements to enhance the appeal of the premium and modern scooter. These include metal body with a bold premium Chrome Chest, Signature Tail Lamp & Winkers, side chrome garnishes, stylish Cast wheels, new body color mirrors, and a dual tone seat cover. We are introducing the new Destini 125 scooter, within just a few weeks of launching a new premium motorcycle – Xtreme 200R. This clearly demonstrates our robust in-house competency in designing and developing products in the premium segment. The Destini 125 is the only scooter in India today to offer the revolutionary i3S technology, in addition to providing a perfect balance of power and style. We have a strong pipeline of new products in both scooter and premium motorcycle segments, which we will launch in the coming months. The scooter market is witnessing a shift towards products with higher engine capacity. The 125cc segment in particular has been expanding at a rapid pace, witnessing a growth of over 75% year-to-date this fiscal. The 125cc segment, therefore, is a focus area for us and we are stratigically following a multi brand approach in this space. In keeping with this strategy, we have debuted today in this category with the Destini 125 and will soon intorduce another scooter towards the end of the year. We are set to delight our customers by commencing the retail sales of the Destini 125 during the ongoing festive season. We are confident that the Destini 125 will be a strong enabler for us in growing our presence in this category. 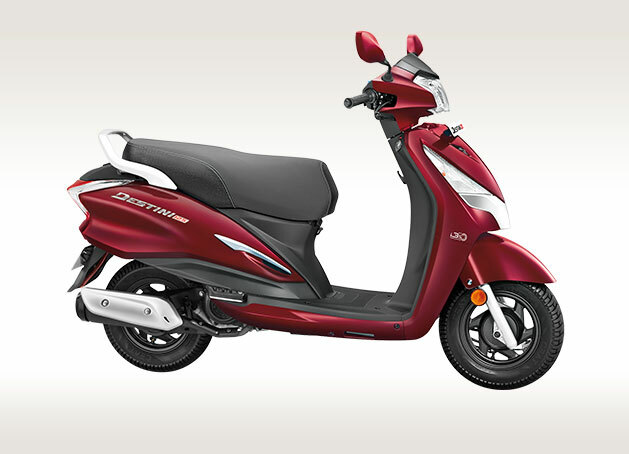 Our customers in the Delhi-NCR market can buy the Destini 125 from tomorrow onwards. It will be made available in other markets across the country over the next three to four weeks. The all new Hero Destini 125 scooter is powered by 125cc Air Cooled, 4 Stroke, SI engine that churns out about 8.7 bhp of maximum power and 10.2 Nm of peak torque. The New Destini scooter from Hero is priced at Rs 54,650 for the LX variant and Rs 57,500 for the VX variant. 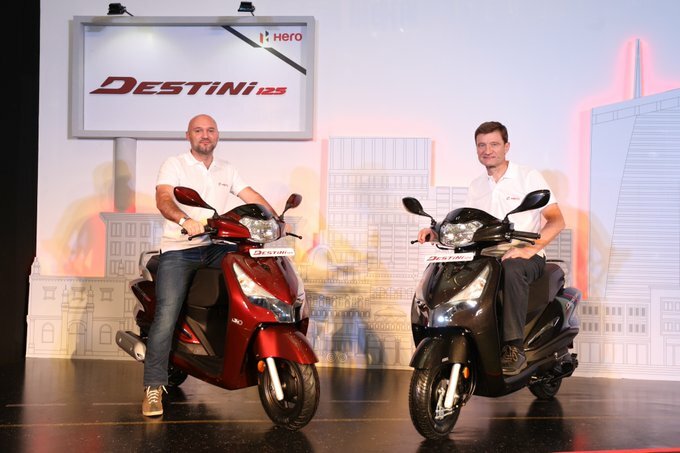 Bookings for all new Hero Destini 125 scooter is open across all Hero dealerships across the country.